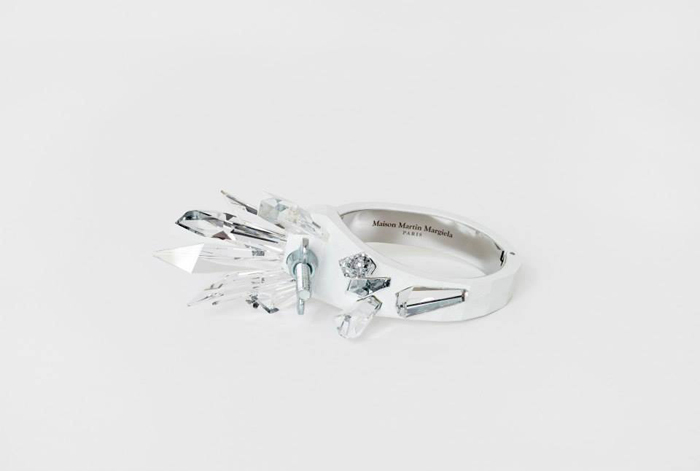 Swarovski and Maison Martin Margiela teamed up to design an A-MA-ZING jewellery collection. The pieces are made of Crystalctite and they're beautiful and simple but yet so sophisticated. Prices are between 800 and 1000 euro and they will be available in November. But: (light point for the less wealthy ones among us) there is a three pieces collection that will be sold for around half that price. Hooray! Ze zijn echt super mooi he! 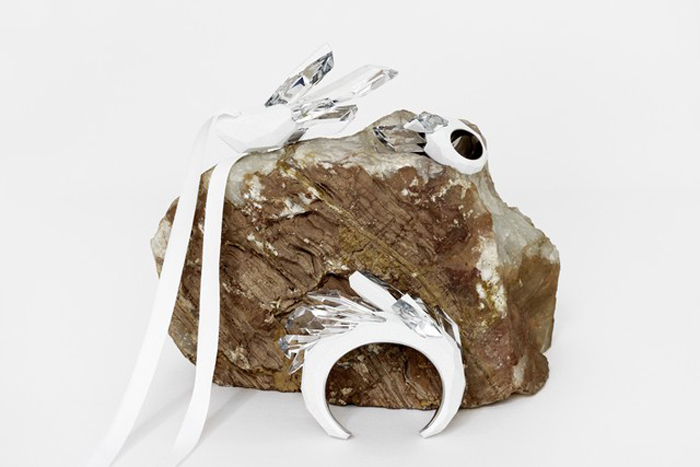 Echt eens een andere kijk op swarovski, mooie collectie.